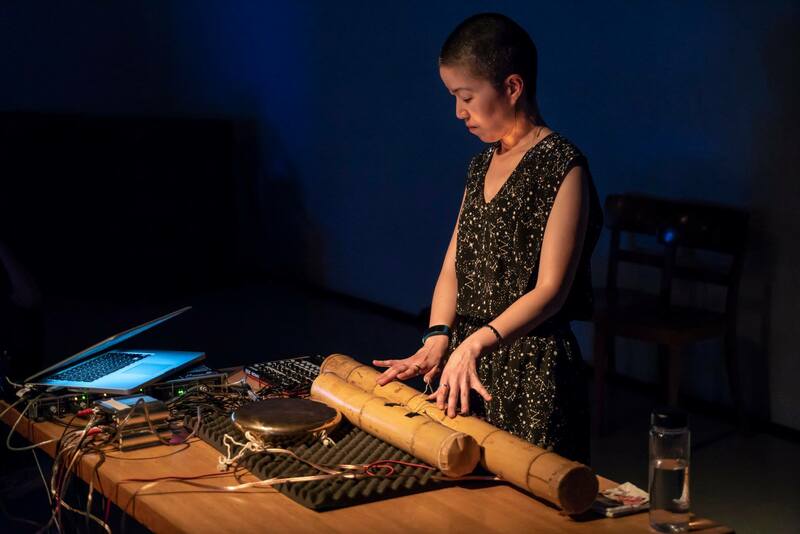 Ji Youn Kang (aka KANG) searches for set-ups that combine acoustic, analogue and digital instruments and devices. Her works with the Korean gong kkwaenggwari and self-built bamboo instruments are intriguing examples of such amalgams. The kkwaenggwari is a small, hand-held gong made of brass and played with a wooden mallet. The hand holding the gong can change the resonances of the gong by placing its fingers at different spots. When developing this gong into a part of her set-up, Ji Youn wanted to keep the sonic qualities of this instrument that is used in traditional Korean music, but also wanted to develop techniques allowing her to play the gong in a completely different way. To achieve this, she places a small loudspeaker underneath the gong. 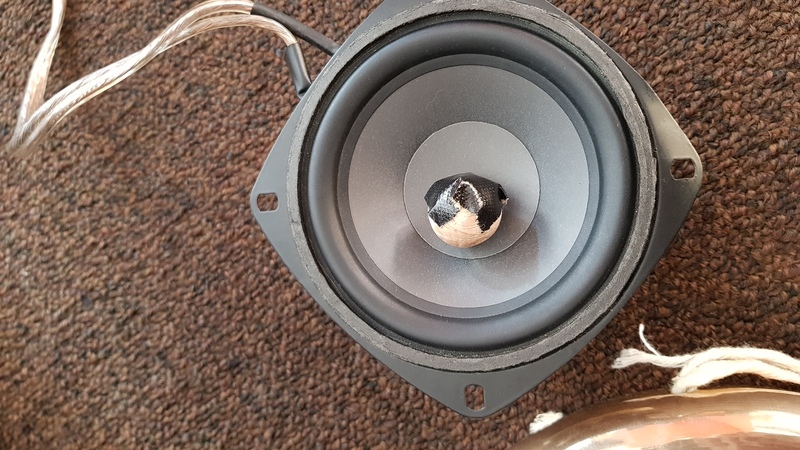 This loudspeaker plays some very strong pulse sounds. 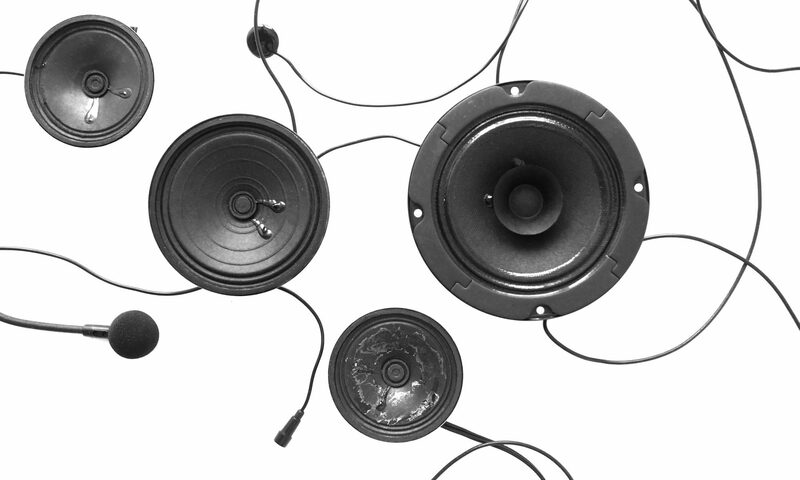 A small, wooden ball is placed on top of the loudspeaker membrane and hits the gong according to the vibrations of the membrane. Each time the gong is hit by this ball, it makes a noise. The wooden ball itself is prepared with some duct tape, so the timbre of the gong hits varies as well. Ji Youn’s father was a composer who made audio recordings of shamanistic rituals in Korea. Ji Youn often accompanied him and she was especially fascinated by the noise of the ritual (see a short blog post in Dutch on shamanism in Ji Youn Kang’s music). The form of her musical performances is often based on these Korean rituals. As Ji Youn explained me: “It starts slow and goes faster and faster. There is no fixed tempo, but the tempo is decided by rhythm patterns that constantly change in time. A very linear form that gives excitement and flow to the listeners in time. As the ritual music has its function (e.g., a shaman becomes possessed), tension builds up and it is, of course, very noisy. 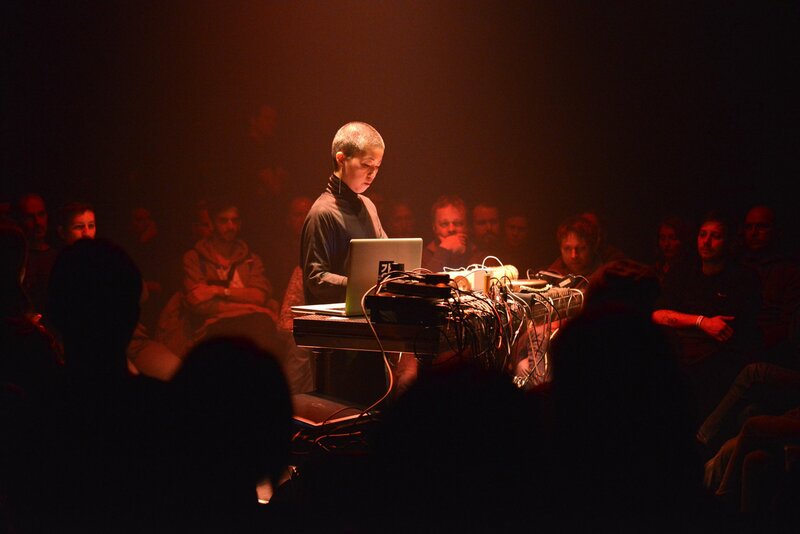 I’d like my music to be very primitive […] and I somehow believe that such a noise sound gives us an urgent feeling, and tension arises instinctively. I try to bring those elements from Korean music.” As this video shows, in combination with some self-built analogue synthesisers, there are many possibilities of playing the loudspeaker-gong. Her other instruments exploring the borders between acoustic instruments, analogue, and digital electronics are the so called bambusoides. For these instruments, she uses two bamboos, each with inside a small loudspeaker and at the other side a DPA microphone. 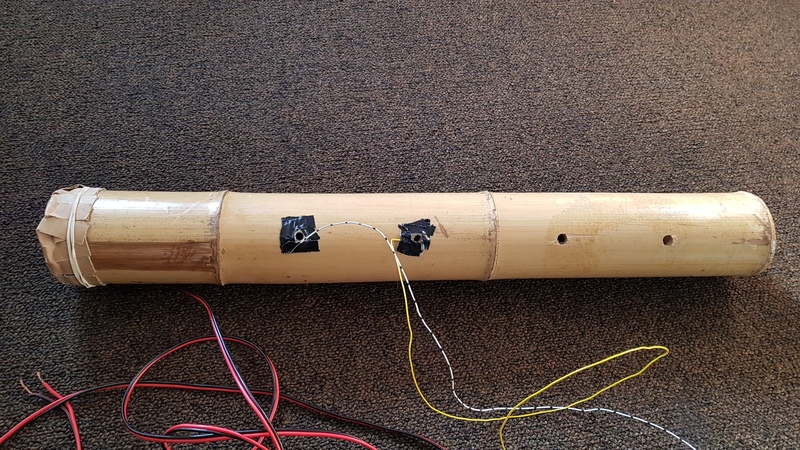 Acoustic feedback can now be created inside the bamboo pipe, a bit similar to the acoustic feedback Paul Craenen’s piece tubes, except that the microphone and loudspeaker stay inside the tube during the whole performance. 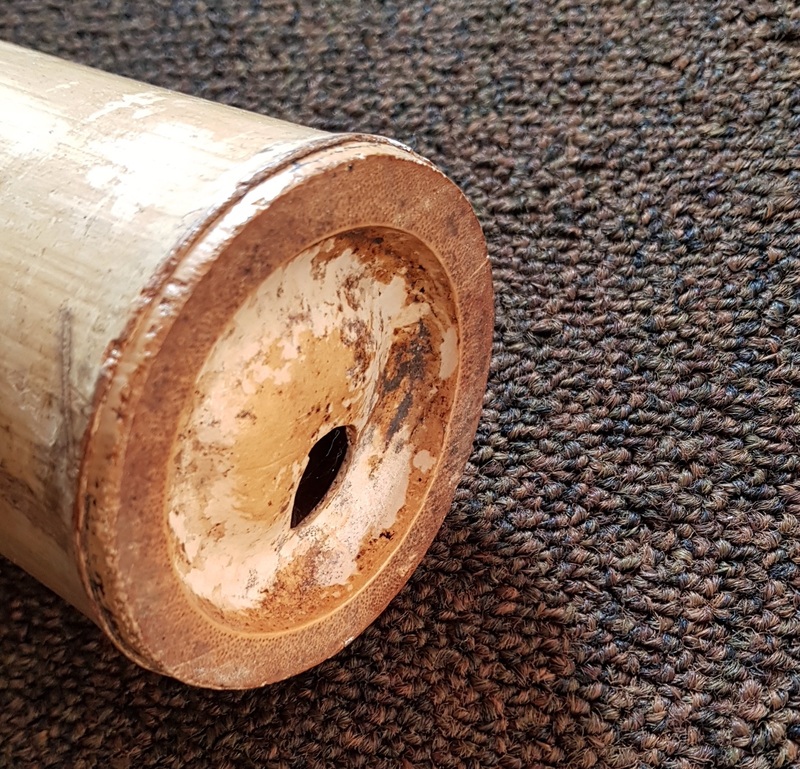 To be able to “play” the feedback each bamboo pipe has 4 holes which can be closed by the performer’s fingers. By closing and opening the holes, the partials of the feedback change. Thus, the bamboo pipes become electronic flutes. In the video below, Ji Youn Kang and Mei Yi Lee are performing Ji Youn’s piece, Bamboo (2014), for two bambusoides and a computer. The piece starts with a percussive part on the bamboo and after 4 minutes, the acoustic feedback starts (the digital part of the electronics are done with the music software Supercollider). When I attended a performance by Ji Youn Kang in Zurich last June, she was playing the two bambusoides (see the picture below), but they had undergone some slight changes. She had added a metal ring to two of the bamboo holes. These rings are connected to an arduino which she uses to generate a voltage. Her body is connected to the other end of this signal and as soon as she touches the metal ring on the bamboo, the signal path is closed and the current flows. This low voltage signal is converted to an audio signal with the help of a piezo disk. This signal is processed by Supercollider in the computer and controls the acoustic feedback. The result is then amplified through the PA in the concert hall. This combination of an unpredictable and irregular control signal in the form of a voltage signal controlled by the performer’s body and an unpredictable and irregular acoustic signal in the form of acoustic feedback creates a very dense performance: it is immediately clear that every movement of the performer is influencing the resulting sound. The variety of sound modifications is immense, since every slightest change of touch will immediately influence the result. Therefore, it is very difficult to predict what can happen next. Extraordinary wild and arousing sounds are produced with these bambusoides, turning into a very dense, noisy and enchanting encapsulation during the performance. A short impression can be heard in the video of a rehearsal at the very end of this post. Thank you, Ji Youn, for answering all my questions!